One of the first models of Xerox’s XC line back in the 90’s, the Xerox XC830 was and is still a copier designed for the small office or personal use. The XC830 uses a stationary 8.5” x 14” platen for scanning instead of a sliding platform to keep its footprint no bigger than its physical size. The 41-pound XC830 has one fixed output tray and a 20-sheet document feeder for a footprint of 29” x 20.5”. Like the rest of the XC series, the control panel on the XC830 is straightforward with indicators and keys for intuitive control and conditions of the copier. To isolate an error, locate an empty tray, or paper jam, the panel includes a diagram of the copier with LED indicators to indicate the area that requires attention. The XC830 has a paper tray capable of holding up to 100 sheets paper. Paper sizes range from 5.5” x 8.5”, to legal size with bond weights varying from 15# to 24# in the main tray. The side of the copier has a multi-purpose slot for single transparencies, labels, post cards, and envelopes. Copiers of this type tend to be very sensitive and jam with paper that has been previously opened and sitting in a humid environment. You also might want to avoid the thinner, cheaper copier papers. Up to 100 simplex copies can be made of a single sided original, printing at 8 pages per minute. 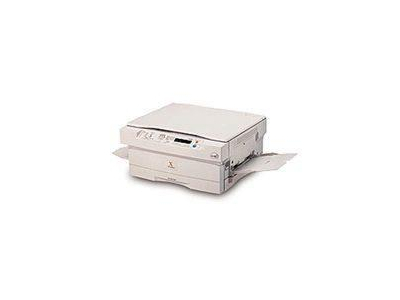 The XC830 has an automatic document feeder that can hold 20 one-sided originals. Copies can be adjusted 70% to 141% of the original, in 1% increments or in 6 jumps. Copy quality can be set either manually, automatic adjustment of contrast, text or photo priority. The Toner Save feature is best used for draft copies and not for finished product. The XC offers “Book Mode” copying: by laying a book open with its fold lined up with the centerpoint of the platen, the copier will automatically scan each page separately. There’s nothing more frustrating than when you rush to a copier to make a single copy only to realize that the copier is making 20 enlarged copies because the previous user forgot to reset the settings (also known as “Leaving the toilet seat up”). Fortunately, Xerox realized this and the XC830 will reset all setting to it programmed defaults after 1 minute of inactivity (now if we can only do something like that for toilet seats). Compared to new copiers, this 1997 model uses considerably less power. In standby the XC830 only consumes only 35 watts of power, compared to today’s copiers and printers. The Automatic Document Feeder (ADF) for these copiers has a tendency to jam on all but pristine, flat originals. Since most originals will have to have the staples removed, extra care has to be made to insure the stapled pages are fully separated and flat for the ADF to successfully take them. Sometimes it’s faster to just put the originals on the platen one at a time than use the ADF. Compared to today’s copiers and printers, the XC830 shows its age with a slow 8 pages per minute copy speed. Even today’s slower color multi-pass laser printers are faster than the XC830’s. 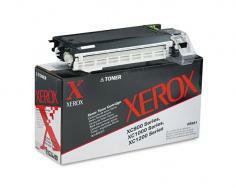 Review it: "Xerox XC830 "
The toner and drum are separate items to cut down on regular replacement costs. 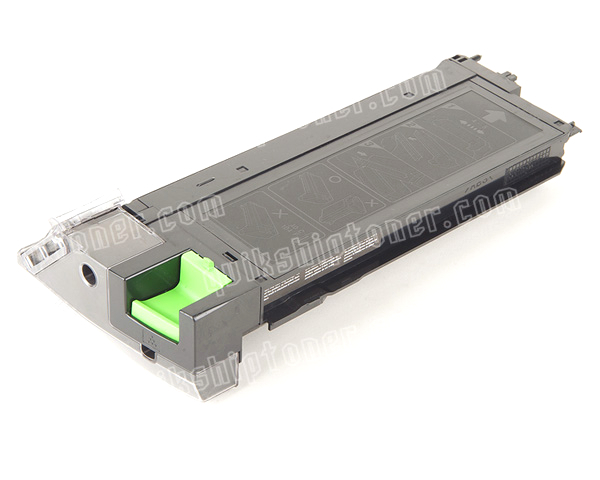 The XC830 splits open like a clamshell to access the toner and drum cartridges. 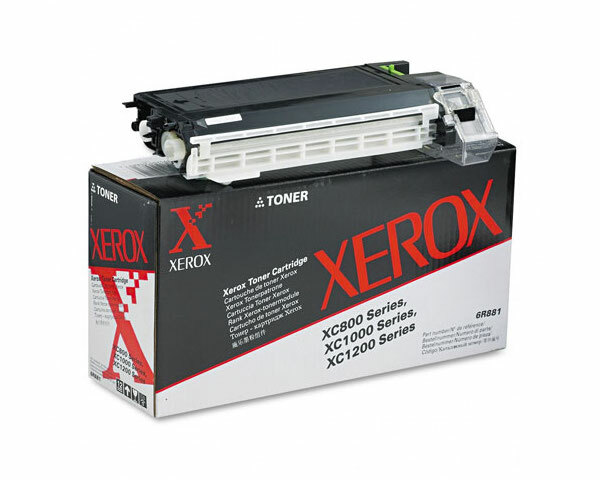 The toner has a 4,000-page yield with 5% ink coverage. The drum will need replacing after every third toner or every 12,000 copies. To keep the counting simple, order 3 toners and a drum as a complete consumables package.